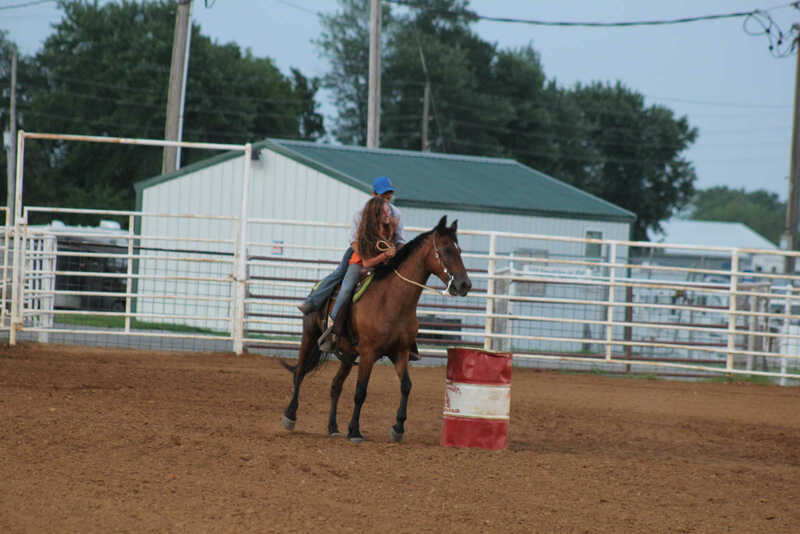 Aaron Shumake is 'rescued' by his buddy Becca Raper at the Vernon County Horsemanship Show-Deo on July 11, 2014. 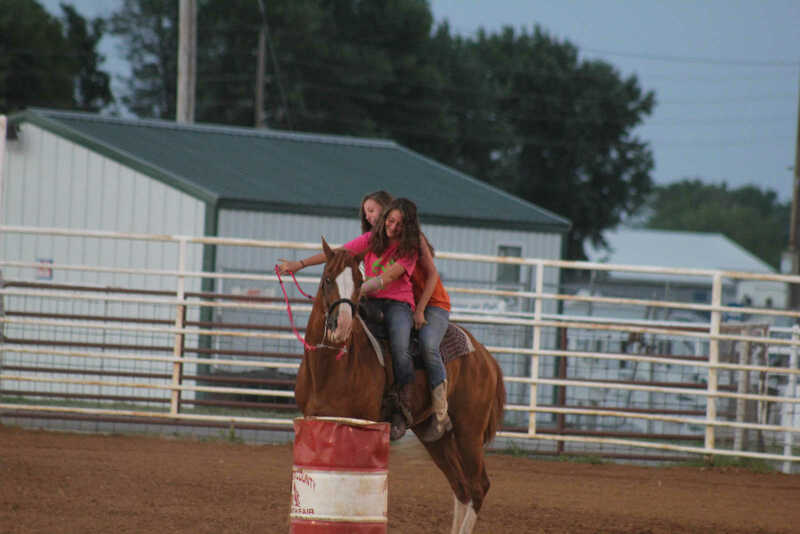 Addie Burgess rescuing Becca Raper at the Buddy Rescue during the Vernon County Youth Horsemanship Show-Deo on July 11. 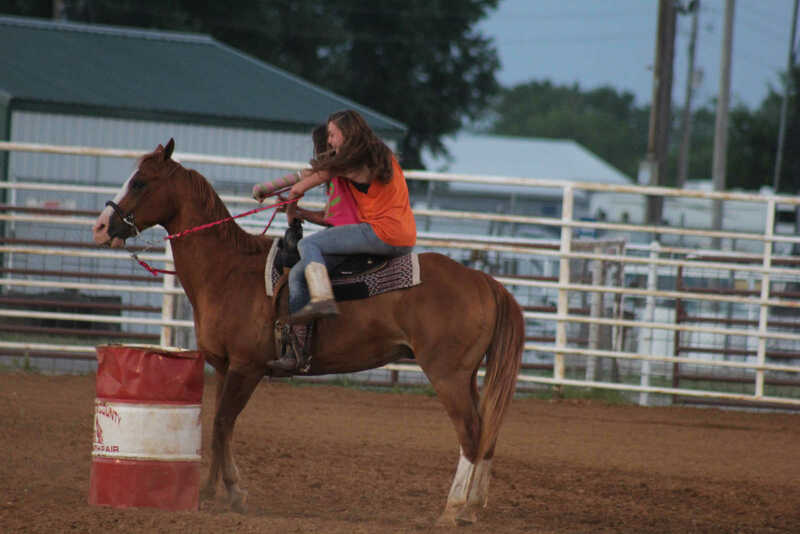 Becca Raper climbs aboard as she's rescued by Addie Burgess at the Buddy Rescue during the Vernon County Youth Horsemanship Show-Deo on July 11. 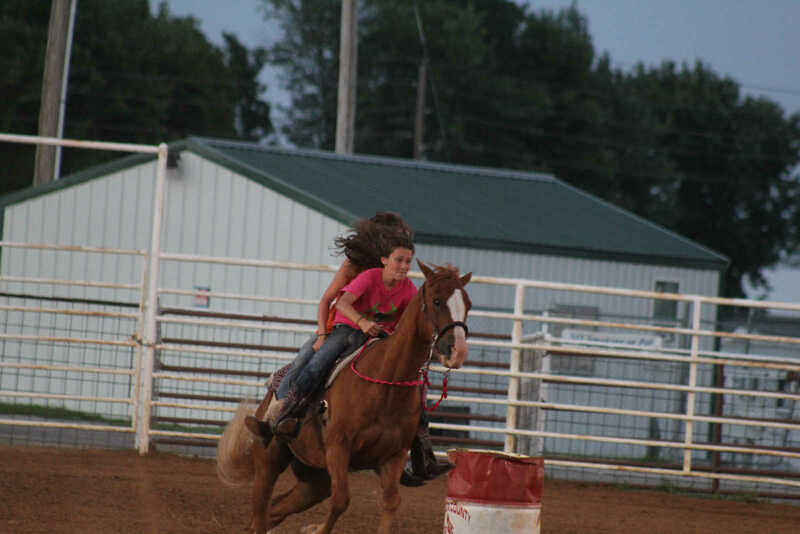 Addie Burgess races her rescued buddy Becca Raper at the Buddy Rescue during the Vernon County Youth Horsemanship Show-Deo on July 11.